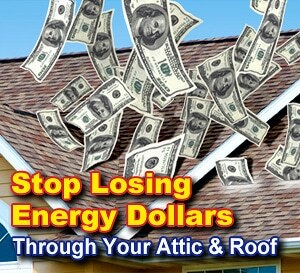 Blown In Attic Insulation Is More Efficient and Performs Better Than Insulation From 20 Years Ago. Many Minnesota Homes Have Insufficient Or Old Attic Insulation. 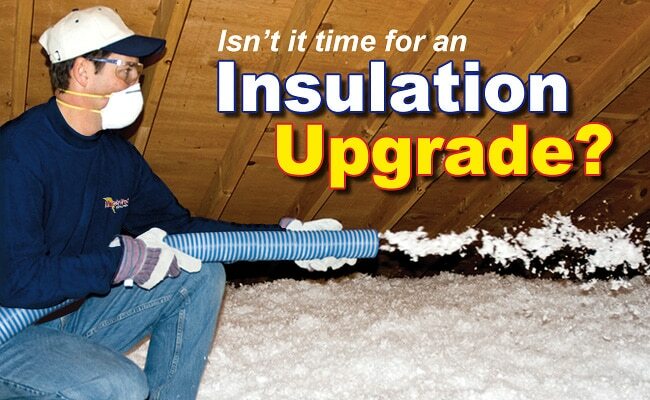 We specialize in the installation of energy-efficient blown-in attic insulation systems. Like many homeowners in the Twin Cities, Minnesota area, you may feel like your energy bills are unusually high. One of the main culprits for this costly problem might be right above your head – in the attic. It’s doubtful that you’ve been up in your attic in quite a while (most homeowners only venture up there once a decade), so you probably haven’t noticed that you are actually spending hard-earned money to heat and cool a part of your home that you spend little or no time in! Blown-in attic insulation literally “pays for itself”. It’s probably better at this point not to beat yourself up over all the energy dollars you’ve been losing due to that old, outdated attic insulation. 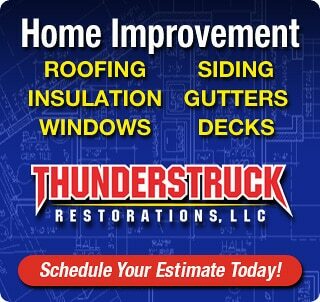 Instead, make the smart, proactive move and start saving money today with blown-in attic insulation installation from ThunderStruck Restorations. 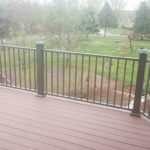 Happy homeowners all over Minnesota are discovering the energy-efficient and cost-effective benefits of having their obsolete attic insulation upgraded to blown-in insulation. 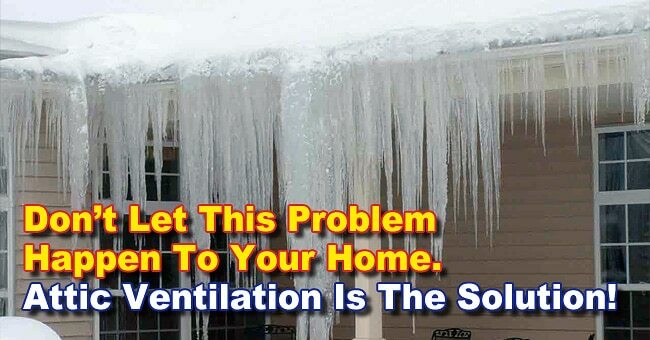 Preventing hazardous ice dams can be as simple as adding the right attic ventilation. 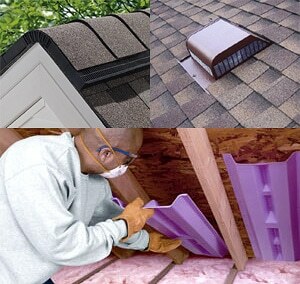 Allowing outside air to enter through attic vents is the key to a durable and energy-efficient home. 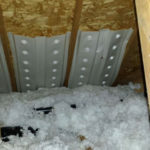 It may seem counter-productive to purposely allow cold Minnesota air to enter your attic after you have already added insulation for warmth, but this combination is vital towards maintaining a balanced home environment. In the winter, allowing a natural flow of outdoor air to ventilate the attic helps keep the air above the attic insulation cold, which reduces the risk of roof snow melt and ice dam formation. This works alongside insulation and air sealing to keep your attic cold in the winter by blocking warm and moist air from below. In the summer, proper attic ventilation allows hot air to escape from the attic, thereby protecting roof shingle integrity and removing moisture buildup. 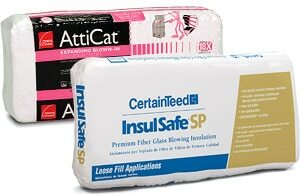 The insulation resists heat transfer into your home, helping you keep your air conditioning costs under control. 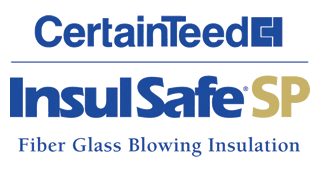 If you’d like to receive an estimate to install blown-in attic insulation into your Minnesota home please give us a call or fill out our online form and someone will get back to you quickly.